Cook will discuss his humanities research Monday (Feb. 11) in Bryant Hall, Room 209 during a public lecture titled “Documenting Freedom in Ancient Greece, and a Bronze Inscription in Oxford, Mississippi.” The lecture begins at 7 p.m., with a reception preceding it at 6:30. “It is a great, and unexpected, honor to receive this award, for which I thank my chair in the Department of Classics, Molly Pasco-Pranger, and my colleagues in classics, and also colleagues in the College of Liberal Arts, the university and the University Museum, who make teaching and researching here meaningful and rewarding,” Cook said. The statewide award winners will be honored by the Mississippi Humanities Council at its Public Humanities Awards on April 5 at the Old Capitol Museum in Jackson. 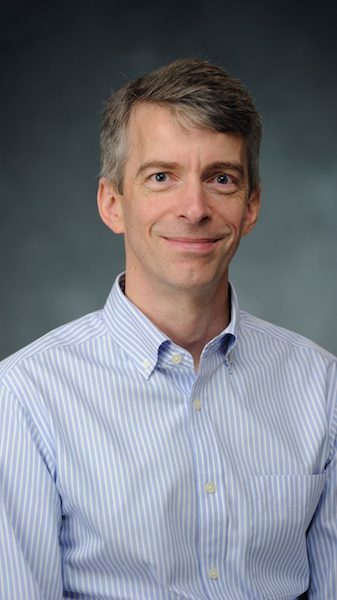 “As a department that deeply values the teaching and mentoring of our undergraduate students, we are always proud to have this part of our colleagues’ work recognized and celebrated, and we have several award-winning teachers in our ranks,” said Pasco-Pranger, who also is an associate professor of classics. “This brief inscription illustrates exactly why I became a classics major some years ago,” said Cook, who earned his doctorate in classics from the University of Washington in 1996. “I get to learn and study the Greek and Latin languages and then work on every imaginable aspect of the classical world. “It is not that you can’t do that in other disciplines, too, but in classics, it has always seemed to me not just a challenge but a responsibility to study the whole of the culture. Cook’s work in the field of classics both teaching and research, is exemplary and stands as a significant tribute to the profession, said Donald Dyer, associate dean for faculty and academic affairs in the College of Liberal Arts and distinguished professor of modern languages.